Rest of the World - £2.25. ISSUE 379 10.1.2006. ANIMAL TALES. GB 2006 ANIMAL TALES PRESENTATION PACK No. 379 SG 2589-2596 MINT STAMP SET. 2006 Animal Tales SG 2589-2596. In excellent condition - see photograph:-. Issued 10th January 2006. 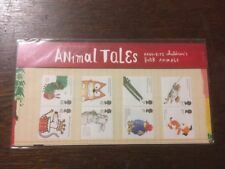 G.B Royal Mail Mint Stamps Presentation Pack Animal Tales 2006. Dispatched with Royal Mail 1st Class Large Letter. Animal Tales, 2006. Excellent condition. Mint Set of 8 Mint Perfect. 2006 ANIMAL TALES SET. UNMOUNTED MINT. Presentation Pack 2005 to 2016 sorry nothing posted till 10th May then Normal. """"ANIMAL TALES"". VERY INTERESTING INFORMATIVE INSERT. I trust that this is satisfactory to all. 100% Genuine in Mint Condition. Era Queen Elizabeth II (1952-Now). 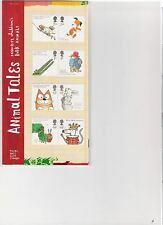 2006 Animal Tales Presentation Pack. Superb! FREEPOST!